Mow with a sharp mower blade. A dull blade tears grass and stresses the lawn. 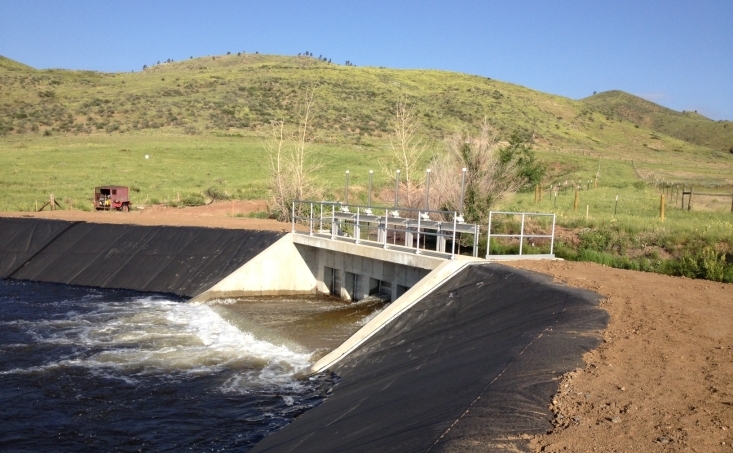 Fort Collins Utilities constructed a presedimentation basin to remove sediment in the Poudre River caused by last summer's forest fires. Located near the Pleasant Valley Pipeline next to the Munroe Canal (north of the mouth of the Poudre Canyon), the basin was built on property owned by the Northern Colorado Water Conservancy District. The mechanical screening equipment currently used will not function when faced with large amounts of sediment expected in the raw river water. The basin will help remove the sediment before it gets into our pipelines and to the water treatment facility, which increases the efficiency of treatment processes and helps regulate water quality. The basin also will aid in the removal of debris during normal snow runoff in the spring, when pine needles and other debris accumulate quickly in the river. The basin is designed to treat 60 million gallons per day of raw water. This includes capacity for the City of Fort Collins and the Soldier Canyon Filter Plant. Basin floor is approximately 39,800 square feet. The volume of the basin is 3 million gallons at the operating level of 10 feet.